Cannabis stocks have been trading since 2009, but very few of them have been growers, processors or sellers of cannabis. Instead, they have tended to be ancillary goods or service providers or perhaps sellers of CBD derived from industrial hemp. 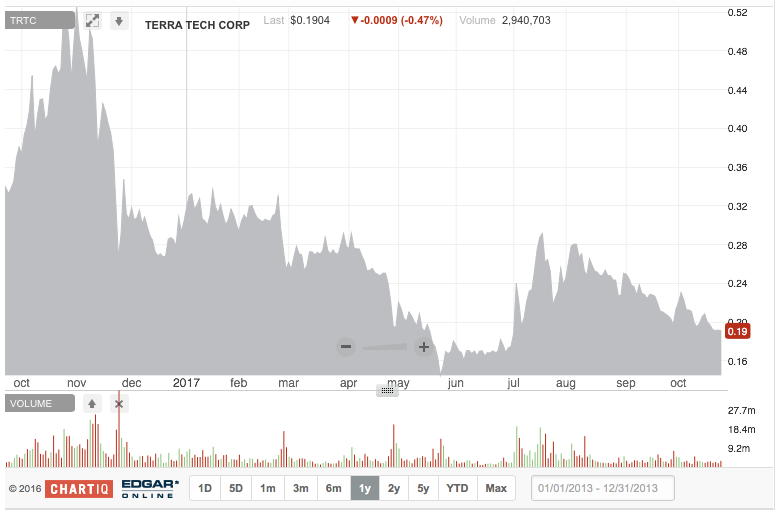 Three relatively new Canadian companies are similar to Terra Tech, but are operating under the radar. 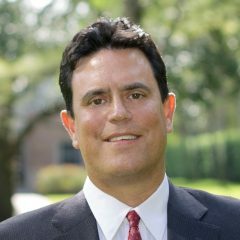 One exception has been Terra Tech (OTC: TRTC), which began to sell IVXX-branded products in 2015 in California, and then acquired Blum Oakland in early 2016. With its Nevada medical cannabis operations launching in 2016, Terra Tech became the first publicly-traded multistate vertically integrated cannabis company. There are three relatively new companies that are similar to Terra Tech, but are still operating somewhat under the radar, in my view: Canadian Bioceutical, iAnthus Capital, and Liberty Health Sciences. Each of these companies has its headquarters in Canada, where they have all raised substantial capital, but they are focused on the U.S. market. 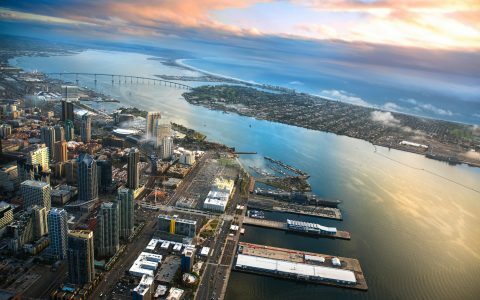 All three are well positioned—along with Terra Tech—to consolidate the highly fragmented cannabis industry, as well as to develop operations in newly legal states. I expect we will see other companies of this type emerge in 2018. As I share an overview of these companies, readers should keep in mind that my discussion is not a buy recommendation. Additionally, all three of these companies are my clients at New Cannabis Ventures, where we provide investor dashboards on their behalf. U.S. investors can trade these stocks in either Canada, where the volumes tend to be higher, or in the United States. For those investing in or considering investing in any of these companies, all of which are listed on the CSE, a hot topic of late has been the involvement of Canadian-listed companies in federally illegal U.S. cannabis operations. This concern impacts only companies listed on the Toronto Stock Exchange or the TSX Venture Exchange, as the CSE has reiterated its position of permitting U.S. activities as long as they are fully disclosed. Canadian Bioceutical (CSE: BCC) (OTC: CBICF) began its efforts to acquire the rights to operate two dispensaries in Arizona in early 2016. The Toronto-based company finalized the deal earlier this year. In addition to Arizona, where it operates the Health for Life dispensaries and the Melting Point Extracts brand, Canadian Bioceutical has a 51% stake in an operator in Massachusetts (IMT, a provider of managed services to Cannatech Medicinals). It recently closed on the acquisition of a producer/processor in Nevada (GreenMart), and has pending acquisitions in Maryland and Arizona. 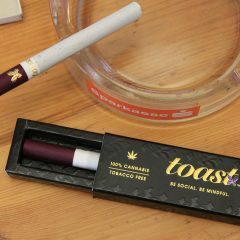 The company has applied for a cultivation license in Ohio and is also pursuing a license in Canada. 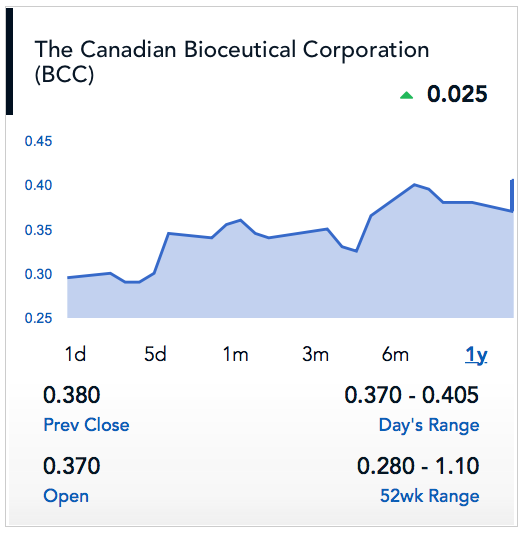 Canadian Bioceutical reported C$5.1m sales from its Arizona operations in the June quarter, and had cash on hand of C$10.3m on June 30th. The company has 311m fully-diluted shares, but 9mm are out-of-the-money options that I exclude. With 302m shares and a closing price of C$.38 on October 20th, the market cap is C$115m. 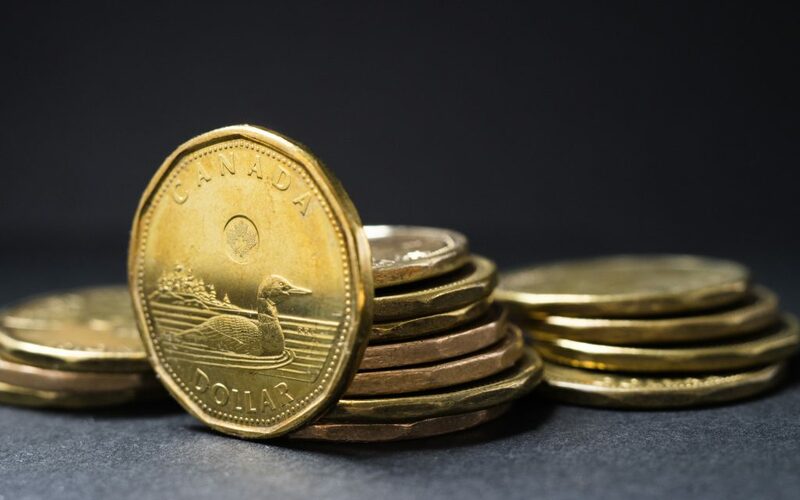 The company raised C$35.7m selling shares in a private placement at C$.20 in January and C$14.9m earlier this spring selling shares at C$0.50. It also has an unused $25m line of credit at 7%. 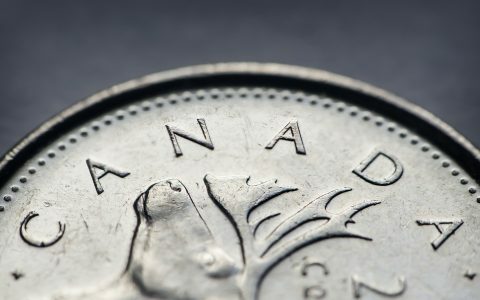 In a move that seems to acknowledge the growing cross-border nature of the company, Canadian Bioceutical will be changing its name next month to MPX Bioceutical. 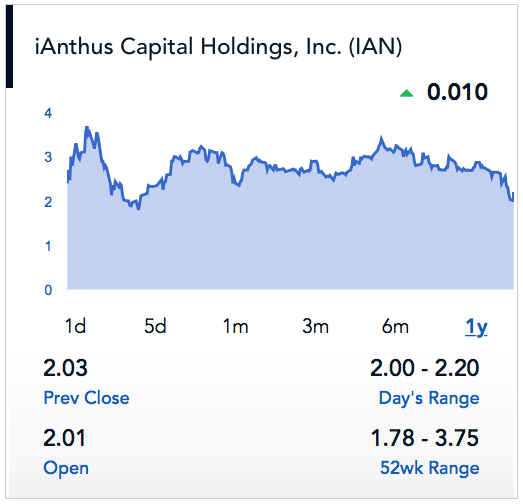 iAnthus Capital (CSE: IAN) (OTC: ITHUF) was the first Canadian-based U.S. cannabis operator to begin trading publicly last September. 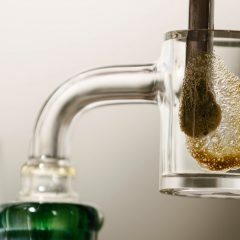 The company has operations in New Mexico, Colorado, Vermont and Massachusetts (Mayflower Medicinals), and will soon add New York (Citiva), where it will hold one of 10 licenses, and Florida (GrowHealthy), where it will own a piece of one of the twelve medical cannabis providers. It intends to buy existing operators and to also develop operations in new states as they open. iAnthus, which reports in U.S. dollars, had cash of $8.5m as of June 30th. 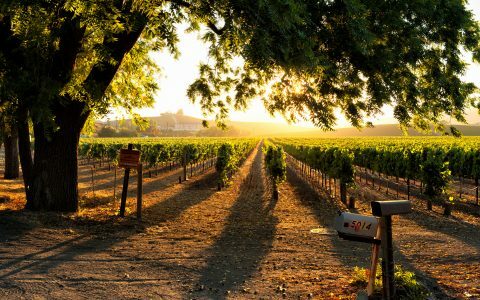 The company has 34.35m shares outstanding, including the shares to be issued for the New York acquisition, and a fully-diluted share-count of 49.81m. Excluding out of the money securities leaves about 37.5m. With a price of C$2.03 on 10/20, the market cap is about C$76m. 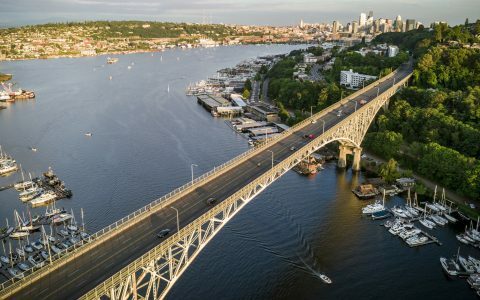 The company is in the middle of a capital raise (no details available) and last raised C$20m in February by issuing a convertible note and previously raised C$21.5m selling units at C$2.10 last November that included warrants at C$3.10. 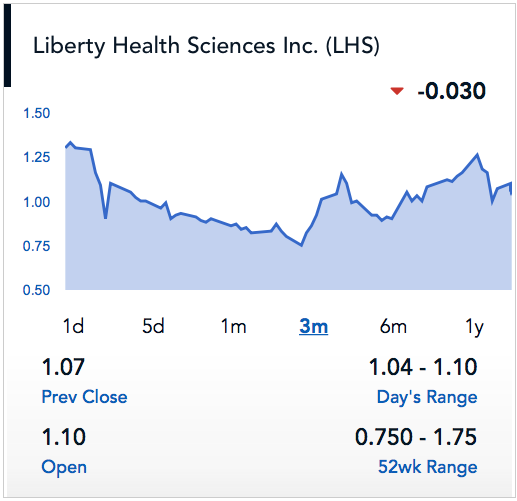 Liberty Health Sciences (CSE: LHS) (OTC: LHSIF) is the most recent company to begin trading. The company, which has Canadian licensed producer Aphria (TSX: APH) (OTC: APHQF) as a major investor (38% of company) as well as a technology and IP partner, has one of just twelve medical cannabis licenses in Florida. 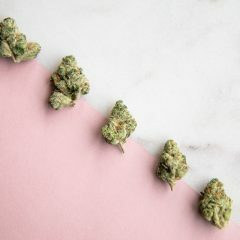 The company, which is focused on greenhouse production, has partnered with the Schottenstein family (DSW, American Eagle) on a medical cannabis cultivation application in Ohio and is exploring other states. 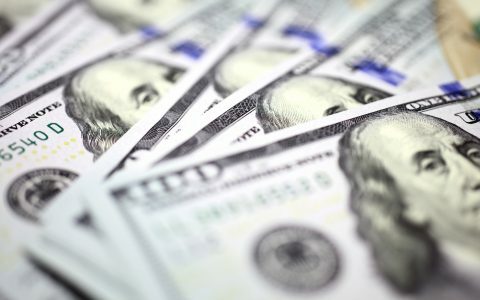 Liberty had cash of C$11.4m on its balance sheet as of August 31. The company, which has 289.4m fully-diluted shares, has a market cap of C$310m based on the close of C$1.07 on 10/20. It raised C$34.2m selling shares at C$0.624 in April. 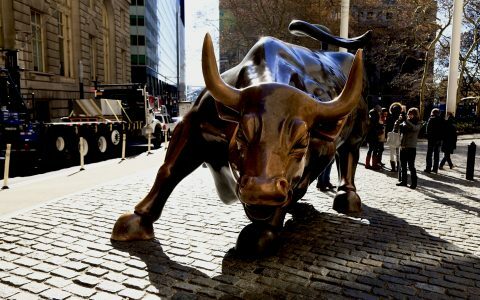 Bottom line: Those who want to invest in publicly-traded multistate direct cannabis companies now have several options, with three new ones, Canadian Bioceutical, iAnthus Capital, and Liberty Health Sciences, joining Terra Tech over the past year. Next up: A look at the publicly traded U.S. cannabis companies generating the most sales. Talk with you in two weeks. Don’t smoke it, just invest in you will make millions when it becomes legal in Canada it will go off the chart guaranteed 100% I know it will be a worthwhile stock investment, but go ahead take a puff, plus cannabis oil is a cancer cure the THC kind. TRTC is at the bottom. No where to go but up.